The Bugatti Owners’ Club is the oldest Bugatti club in the world, and in 2019 it celebrates 90 years since its formation. 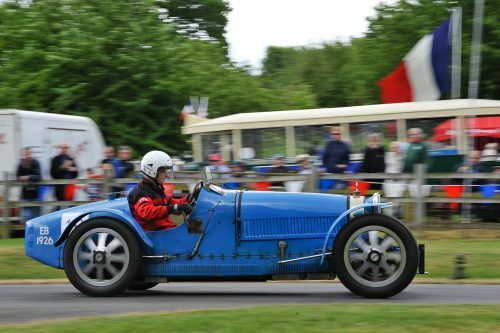 And to mark the milestone The Bugatti Trust will join the festivities at the latest La Vie en Bleu taking place on the weekend of May 25 and 26, an event that has developed into a firm favorite on the UK motorsport calendar. La Vie en Bleu celebrates ‘all things French and Italian’ and therefore it’s hard to imagine a more appropriate event at which to pay homage to the famous French marque founded by the Italian-born Ettore Bugatti. 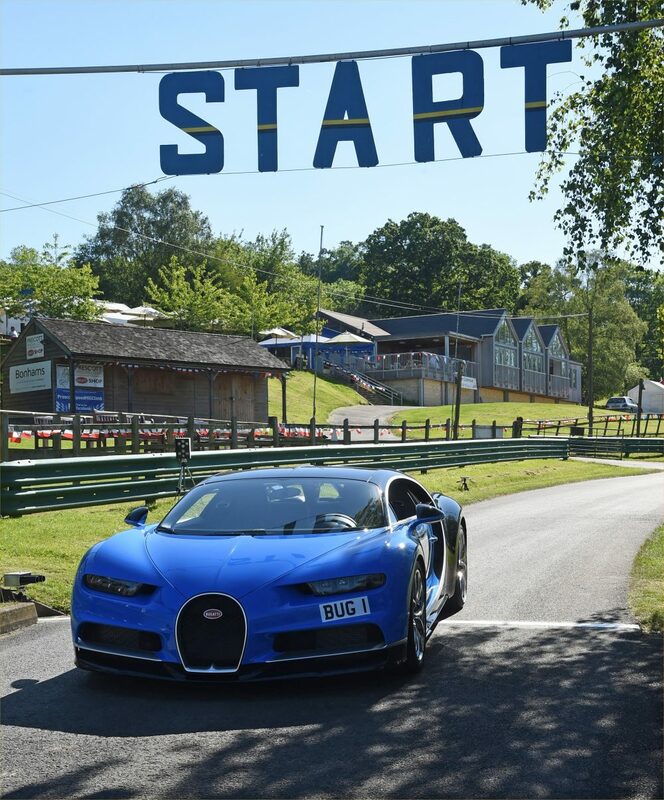 Also appropriately it takes place at Prescott Hill Climb, where the Bugatti Owners’ Club is based. 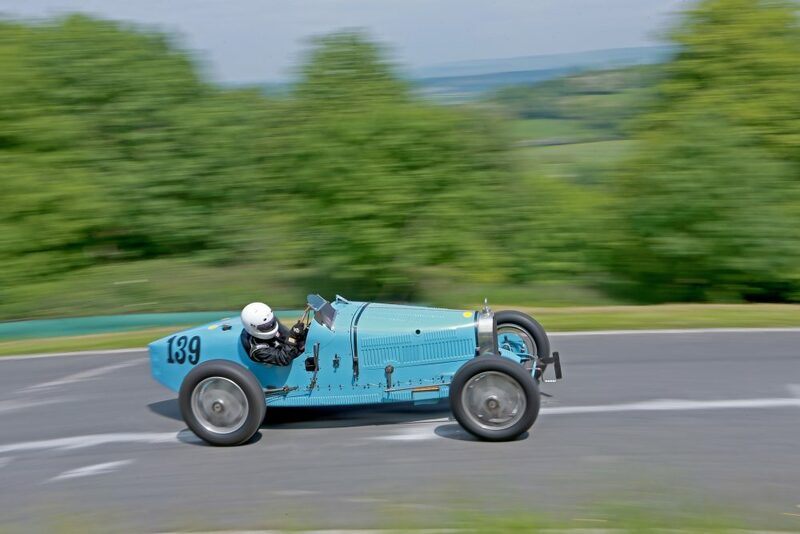 Bugattis from across the world will make the pilgrimage to Prescott for the event and it’s anticipated that upwards of 90 Bugattis will be there; the majority of them will take to the historic hillclimb course over the weekend as well. 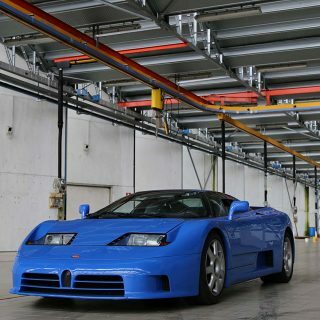 There will a large gathering of vintage Bugattis, several Veyrons including the Supersport and Pur Sang plus its 1990s cousin the EB110. The ‘110’ signifies that the high performance sports car marked 110 years since the birth of Ettore Bugatti. 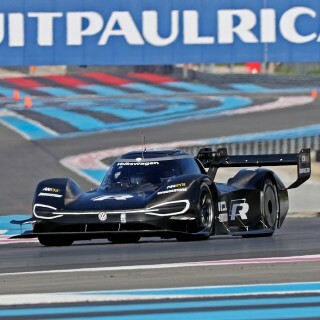 And the specific model in attendance is number 1 of only 31 of these cars built; number 2, for what it’s worth, was built for Michael Schumacher… The EB110 also boasts a V12 engine with four turbochargers, achieving 610bhp and a whole 212mph. Plenty of other attractions besides will ensure that this will be a weekend to remember. There will be the very Ferrari 330GT that was presented by Enzo Ferrari to the late great John Surtees after he won the 1964 Formula 1 world championship; Surtees used the car frequently for his commuting. There also will be a Lamborghini Miura with its own famous former owner–a certain Bernie Ecclestone. 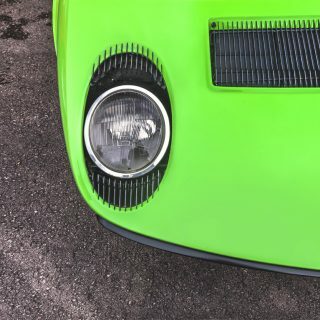 When the Miura arrived in 1966 it was the fastest production car in the world, with a 280kph top speed; it’s often considered the first modern era supercar. 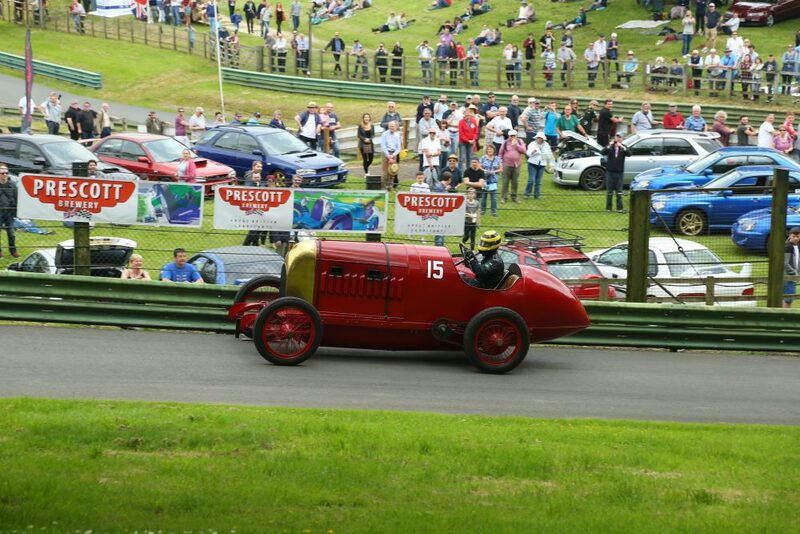 An event favorite returns with Duncan Pittaway taming the vicious 1911 Fiat S76 ‘Beast of Turin’ (above). Its flame-throwing 28.5-litre engine is capable of a whole 300bhp–enough to reach 116mph and bag a one-mile land speed record in 1911. 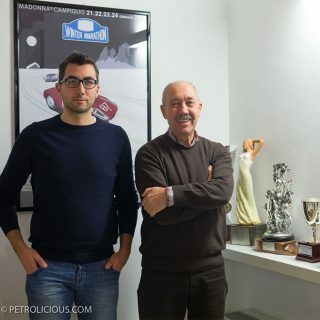 While a unique 1958 Lancia Aurelia B20 single seater with a mysterious past, built for F2 but seemingly hidden away for 40 years before being discovered in Monte Carlo, will make its event debut. All French and Italian car clubs are welcome, as are owners of cars from the two countries who are not affiliated to a club. 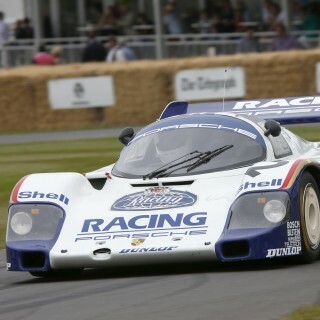 There also will be special competition classes at the event for French and Italian marques including a round of the Ferrari Hillclimb Championship with support from the Ferrari Owners Club as well as a special class for ERA voiturettes, with plenty of ERAs competing. 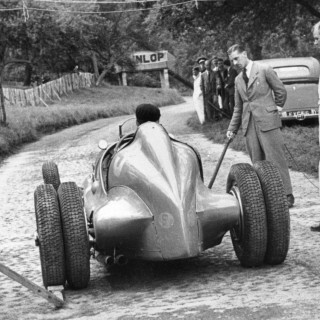 There will also be themed entertainment, including live music and dancing, and on either day an unsuspecting attendee that epitomizes the ‘Spirit of Prescott’ will be awarded–again appropriately–a bottle of Italian Prosecco on the Saturday and French champagne on the Sunday, in both cases by the Bugatti Club chairman Charles Trevelyan. Advance tickets as well as trade stand pitches are available now.